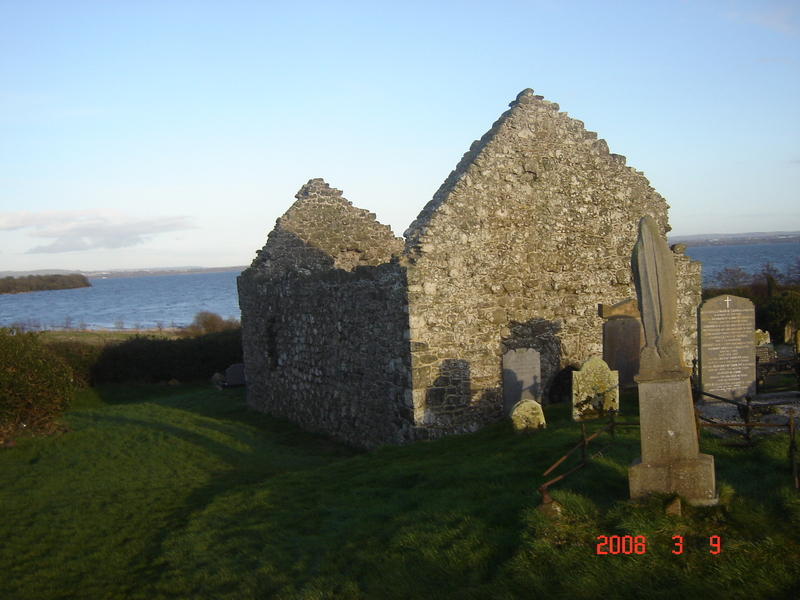 The present Church ruins at Cranfield dates from around the thirteenth century AD but it is quite possible that this building replaced an earlier Church dating from shortly after the coming of Christianity to Ireland in 432 AD. In the History of the Diocese of Down and Connor by the Reverend James O’Laverty it is stated that the present Church was mentioned in the taxation of Nicholas 1V around the end of the 1200’s. However by the 1662 the Visitation Book declares “ Ecclesia de Crewell decayed” The then recent defeat of the Ulster Chieftains by England and the fierce persecution of the Catholic Faith had led to the destruction of most Catholic Churches in the North and Cranfield was no exception. Throughout the 1700’s when the Penal Laws persecuting Catholics (and Presbyterians to a lesser extent) were in force, Cranfield was the site of a Mass Station where outdoor Masses were held when possible. Cranfield itself was originally a parish in its own right with four townlands, Ballynarney, Ballyirvine, Tamnaderry and Ballykeel (Churchtown) Only Churchtown remains in living memory.